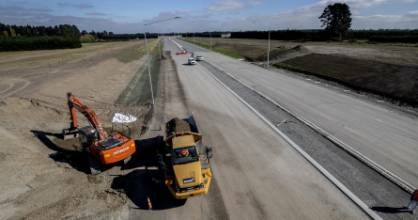 Soft ground and a high water table haven't stopped crews constructing Christchurch's $430m motorway network. A fish that saved a ship, and tragedy on the railway: Emily Carter packed it all into her long life. OBITUARY: It's not often you see a lecturer walk into work in shorts and jandals, but Kenneth Fea wasn't your average man. Hundreds of street racers gather in Christchurch on Friday night, bringing the traffic to a complete standstill. Leaky Christchurch pipes lose nine billion litres of water each year – six times what a controversial bottling firm can take. OPINION: It feels like the news KFC is moving back to Christchurch's CBD came and went without anyone realising what a milestone it represents for the rebuild. OPINION: A prevailing current of uncertainty is swirling across much of Christchurch's cultural and spiritual landscape right now. Now is the time to create a globally significant contemplative site of substance that reveals the best of us to the world. Ten litres of water per minute per square metre from 2460 nozzles. For eight years, silence has reigned at the Christchurch Town Hall. Now music is back in the spotlight. A North Canterbury teen has just won the under-17 category of the Oceania Mountainbiking Champs and now has his sights set on the world junior champs. A 34-year-old former army officer is the latest addition to the Waimakariri mayoral race. A lack of food and an inability to move quickly out of harm's way are causing too many harrier hawks to be hit by cars, a raptor expert says. A new cycle route traversing the heart of the Hurunui district has officially opened for business. For the past three months, 10-year-old Aldrine Luna has been having the time of his life hanging out with his new big brother. A second man has been charged with the murder of King Cobras gang member Luke Sears, who was shot and killed in rural Canterbury last year. Several fire crews battled a "well involved" hay barn fire in Mid-Canterbury on Tuesday afternoon. Increasing number of people cancelling Christchurch health appointments prompts trust to donate to new health shuttle. A woman killed in a crash alongside her two children had moved to the South Island to improve her life. A mother and her two children are dead after their car went through an intersection and into the path of a ute. A historic West Coast hotel where the Queen once stayed will be demolished. A 19-year-old Greymouth man who spent two nights lost in West Coast bush says he did not think he would make it out alive. A main route between Greymouth and Westport has reopened after a crash involving a truck. Thieves likely used a boat and quad bike, or a helicopter, to take dead sperm whale's jawbone. Franz Josef businesses are busy again after being cut off, a welcome change they hope will last until the end of the season. Retirement villages: what's the catch?